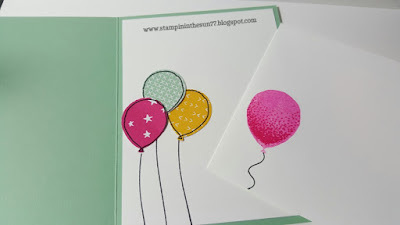 Have you heard about Shannon West's (trainer for Stampin' Up!) challenge for herself to bring birthday cards back? Well, I am excited to be participating in this challenge to send out a Birthday Card to everyone I know! What does this mean? I need LOTS of birthday cards! When I think of birthdays, I think of two things: cake and balloons! This card features the second! Balloon Celebration is perfect for not only birthdays but a lot of other occasions! I am really loving the new bundles in the Spring Catalog and this is one of my favorites! 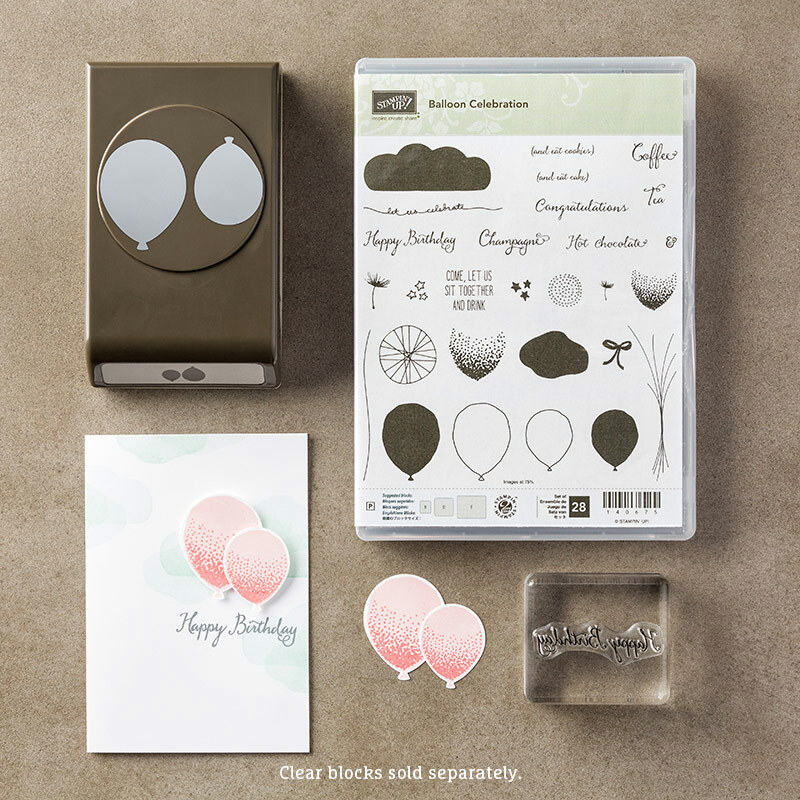 This bundle includes the stamp set and the coordinating punch! Love! All of this cuteness for only $37.25! Let's jump right in and check out this card I made! Wondering where the paper is from? It's from the It's My Party Designer Series Paper Stack. It comes with 48 sheets! You get four sheets of each of the 12 patterns (and it's doubled sided)! If you LOVE paper, this pack is for you! I added some extra balloons to the inside of the card, because why not?! Check out the supply list below and hop over to my online store! Don't forget that every $50 order earns FREE products from Stampin' Up! Plus EVERY order gets a thank note from me!! Thanks for picking me as your demonstrator! 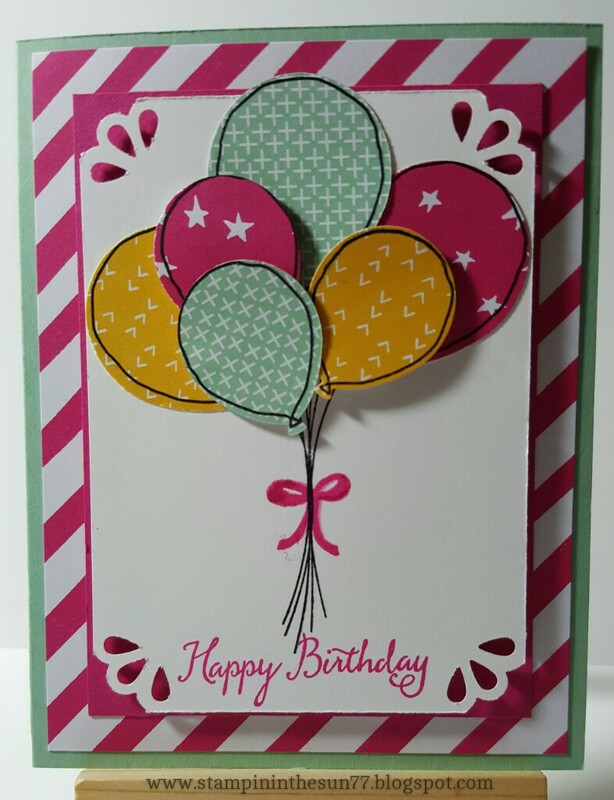 Love your balloon card - it's so bright and cheerful! I have been on the fence with this one but now I really need the set. I love the corner punch treatment and will be getting that too! So very pretty!